At Randy’s Mobile Mechanical Service we are the premier Ford F450 Concord repair shop. We want to be your one-stop shop for all Concord F-450 service and repair. Whether you need F450 diagnostics, manufacturer recommended maintenance, or serious repairs, we are here for you. Our Concord auto and RV repair facility is large enough to handle F-450 in any configuration. Whether your F450 Super Duty tows heavy loads, or you have a motorhome built on F-450 chassis, we have the space, tools (including lift capable of hoisting motorhomes), and skills to diagnose and repair your vehicle. Whether your Ford F450 is configured for diesel or gasoline, if it is not 100% healthy, bring it to Randy’s Mobile for a through checkup and high quality repairs. Randy’s Mobile Mechanical Service is a full service Concord auto and RV repair shop. In addition to our fixed Concord repair shop, we also offer mobile services, should your F450 be stuck somewhere on the road. We provide priority fleet service as well. If you own F450 motorhome, perhaps Bigfoot motorhome, or Coachmen Leprechaun or maybe Coachmen Freelander, you can count on our technicians to diagnose and repair your vehicle to your complete satisfaction. Naturally we offer a full gamut of diagnostics and repairs: brake repair, oil leak repair, fuel pump repair, electrical diagnostics, timing belt replacement, power steering problems, engine repair, egr valve problems, evap leak, coolant leaks, ac repair, emission problems, check engine light diagnostics and repairs, and motorhome interior repairs. These are just a few of the repairs we can perform in our Concord F450 repair shop. 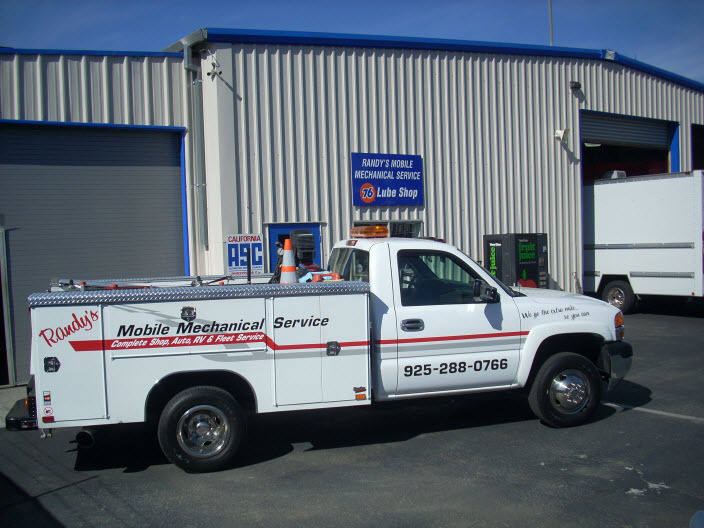 Whether your F-450 faces major repairs, or just needs a minor service, bring it to Randy’s Mobile Mechanical Service in Concord. Our nationally ASE certified mechanics, and our friendly office staff will make sure that your Ford F450 will get the maintenance and repairs that put it back in top shape, and back on the road. Scheduling an appointment at Randy’s Mobile Mechanical Service is easy – just give us a call or schedule online. For trusted Ford F450 Service and Repair in Concord and across CA, visit Randy’s Mobile Auto Repair. Call us today or use our convenient online form to book your visit.